Sonam Kapoor is an actress of Indian cinemas usually appears in Bollywood movies and made her debut with the film called "Saawariya" in the year 2007 which was directed by Sanjay Leela Bhansali whom she used to assist earlier in the movie like "Black" in 2005. She is the daughter of actor Anil Kapoor. She is well known for her immense senses of fashion and her styles to dress and act. She is all set to be appeared as flight attendant Neerja Bhanot in her latest release "Neerja" which is based on the biography of a 23 years old flight attendant Neerja Bhanot who saved many lives in year 1986 when terrorists had hijacked an American plane in Karachi of Pakistan as directed by Ram Madhwani and written by Saiwyn Quadras. 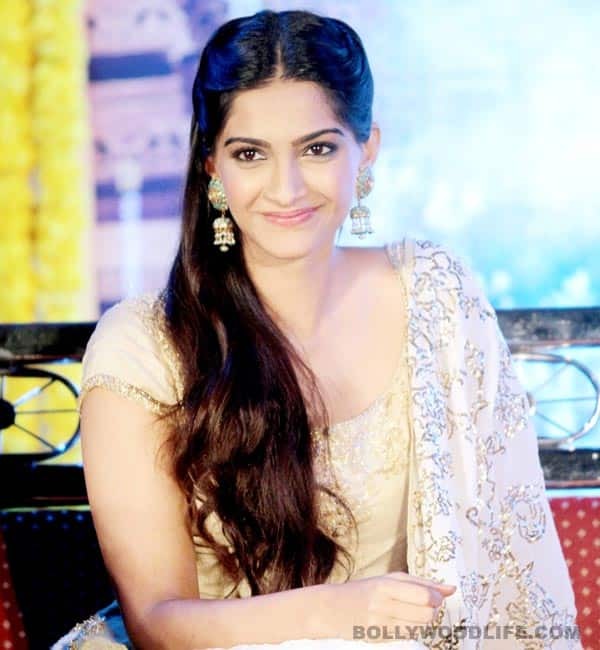 Sonam was born on 09th June 1985 to Anil Kapoor and Sunita Kapoor in Mumbai ( Maharashtra, India ). She has two siblings named Rhea and Harshvardhan. Rhea is working as a film producer and Harshvardhan is an upcoming Bollywood actor. Along with acting, she is also a trained classical dancer and a good basketball player. Actor Ranbir Kapoor and Sonam used to be the member of the same local basketball club. Some of more films she worked on are Delhi6, Mausam, Bhaag Milkha Bhaag, Ranjhana etc.. Sonam is also fluent in many languages like as English, Hindi, Urdu, Punjabi and Marathi. Sonam is also the brand ambassador of renowned brand L'Oreal Paris since 2010. Hobbies - Basketball playing and classical dancing. As per the sources, Sonam was linked in with Punit Malhotra earlier which broke up later. Now it is believed that she is currently dating Sahir Berry who is a businessman. Sahir used to fly in between Delhi, London and Goa. He also owns a beach club called "Praia". Both met each other for for first time during the promotion of her film "Bewakoofiyan".